In 2012, Retrotrials was lucky enough to meet and interview 4 times SpanishTrials Champion and 2 times Spanish Motocross Champion Ignatius Bultó Sagnier. Back then, we met Ignacio (as he likes to be called) at his glamorous Barcelona apartment and talked all afternoon about his successful riding career, the family business Bultaco and his days with Merlin motorcycles. He has so many interesting memories. It was great talking to him. This interview is online now and you just have to click on the link at the end of this report to view it. 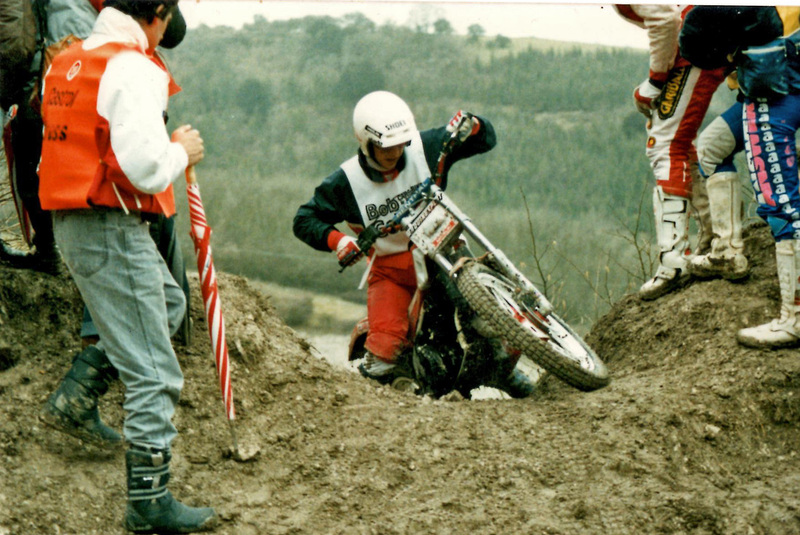 I was 19, when I visited the 1988 UK World Trial at Butser Chalk Pits, Petersfield, Hampshire, England. I remember the slippery chalk hill climbs were huge and spectacular. They were a huge test, where riders were punished harshly with a slippery long decent to the bottom if they got it wrong. For the crowd, they were incredible. The riders selected 3rd or 4th gear, wound the engines wide open and tried to attack the climbs with as much speed as possible. Luckily for us some of this great day was captured on BBC footage and Duke video footage. I'm sure you will have seen them. When I travel around meeting riders I always ask them about this day and try and get their memories of their time at Butser. It's just because it means to much to me and was the best trial I ever went to. 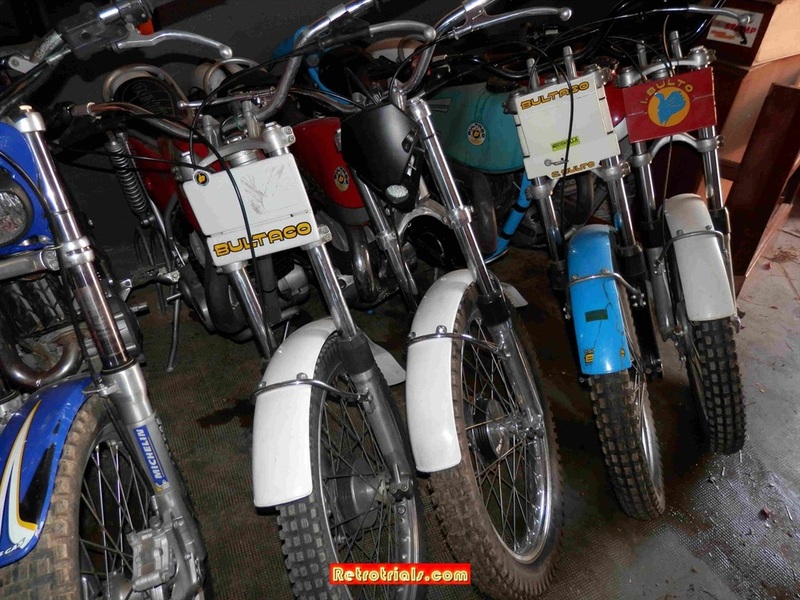 There was very little information back then about the different trials bikes available. Of course there was no internet back then. I only bought Dirt Bike Rider magazine and Trials and motocross news occasionally .I do remember seeing the Eddy Lejeune and Lluis Gallach ride past me . I looked at their mud covered bikes as they swept past and thinking "Wow , theyre something weird ". You see , i hadnt seen them before. The 3 spoke wheels were amazing. 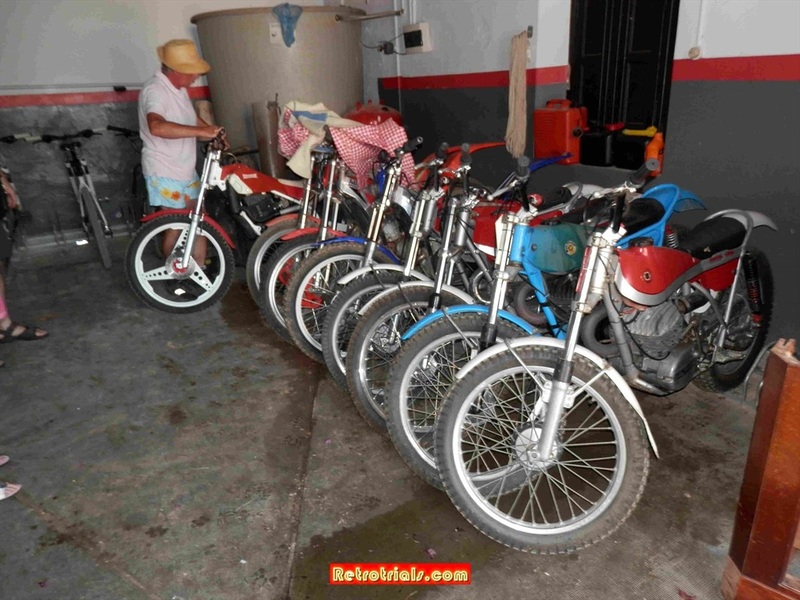 The bikes looked so different and had a real factory look. That thought and strange wonderment and inquisitiveness of these brands and has stayed with me. 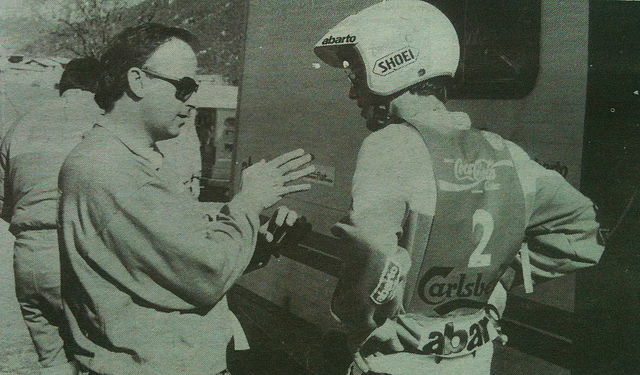 Back then, in 1988 Eddy Lejeune was riding the red Merlin DG350 FIUS (Forward intergrated Uni Shock). There is no doubt that the 3 times World Champion Eddy's career was on a downward slope after many years with Honda. 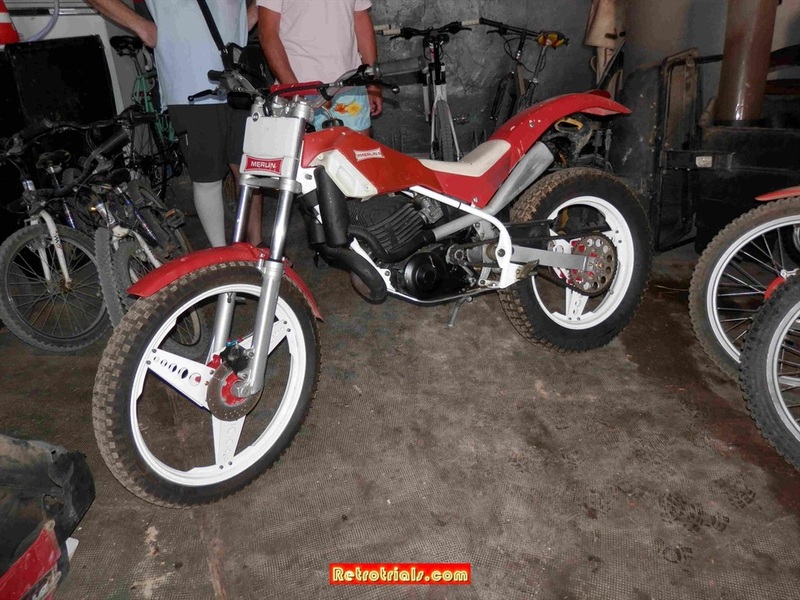 Honda had decided to withdraw from Trials in 1987 and spend their money elsewhere. Ignacio saw that the great rider and name of Eddy Lejeune would soon be available and made him an incredible monied deal. If you want to know the details of this deal, then please read the Ignacio interview and the Eddy Lejeune interview, both exclusives on this site. There will be links at the end of this report. I don't want to side track you at this stage :). I'm sure you understand. 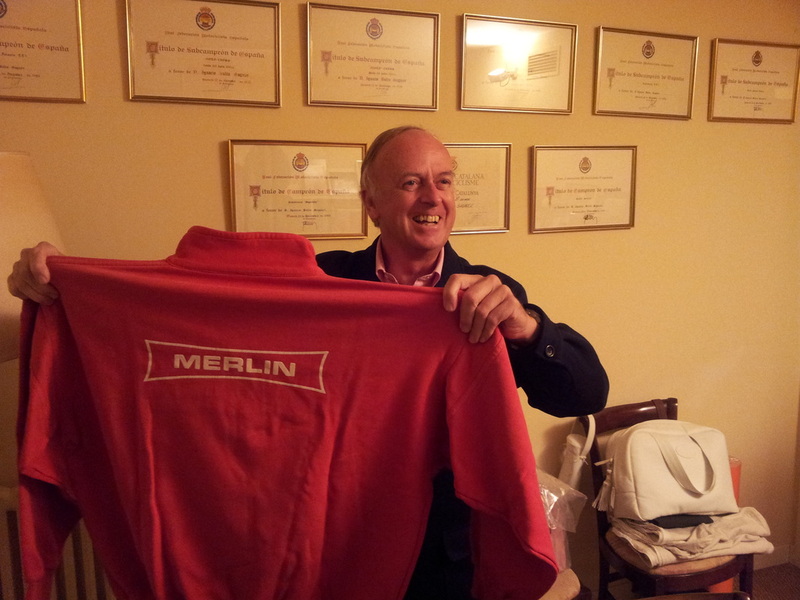 Another of the motivating reasons for me wanting to talk to Ignacio was because he was one of the founders of the Merlin Motorcycle Company, initially based in Vilanova i la Geltrú making children's motorcycles and then moving to the large Fornells de la Selva factory producing adults machines. 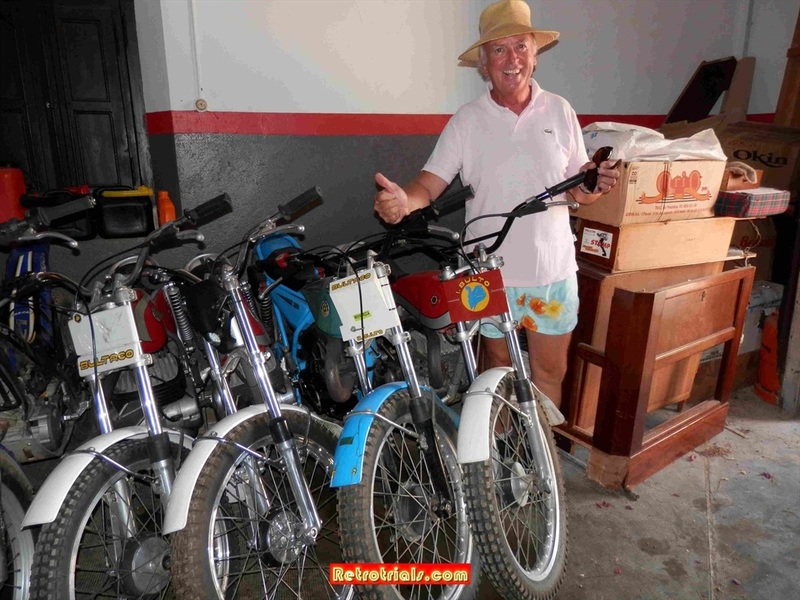 After my interview with Ignacio I was desperate to see any Merlin or Bultaco memorabilia that he had, so he pulled open his cupboards and we photographed as much as possible. 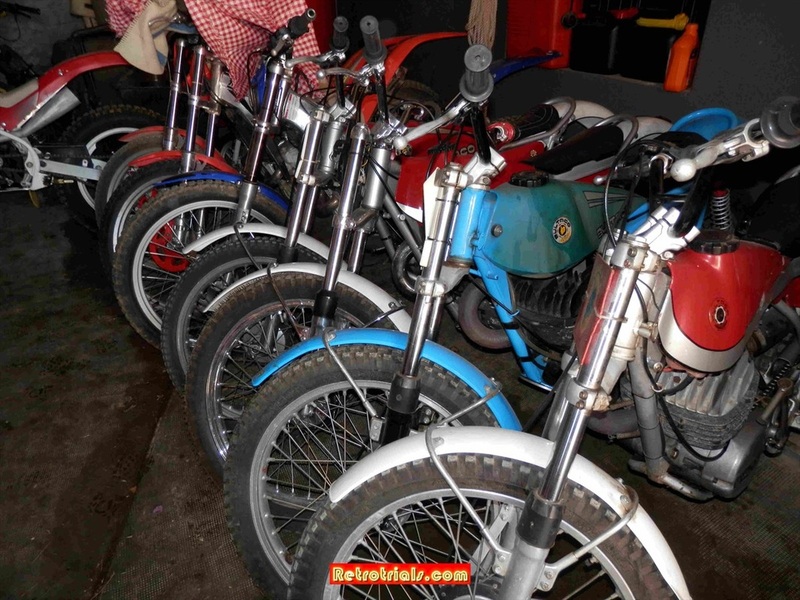 I then asked Ignacio if I could see his bikes. Ignacio replied by saying that he had friends and family coming shortly to his home to watch the big Barcelona football match and that he didn't have time to show me. Ignacio then invited us to return to Spain another time (which is great for me, as I love the country) and he would show me around the legendary home of the Bulto family, Masia De San Antonio. He would also show me his motorcycles. Then Ignacio said the following words" I have the Eddy Lejeune Merlin". Throughout my interview with Ignacio my mind had been racing, thinking of the next question, trying to keep up with his stories. I wanted to get it all right so I was concentrating, I wasn't just relaxing. If you relax to much you make mistakes and I didn't want that. Anyway...........when Ignacio said " I have the Eddy Lejeune Merlin"..........I froze, I forgot everything and looked at him and asked the same question perhaps 2 or 3 times in different ways, to get absolute clarity of exactly what he was saying. Below you can see Ignacio standing with the red Bultaco. This was the machine he won his Trials Championships on. Ignacio removes the sheets covering the bikes and pulls out the original factory Eddy Lejune Merlin DG350 FIUS. Whilst I love Bultaco, this was the bike that got my pulse racing. Here it is, but I need more light for good photos, so I ask that it is placed outside. I then want to have a good look around the Merlin and get a real knowledge of the machine.